The official Telugu remake of Vijay’s Tamil action drama Kaththi, Khaidi No. 150 has successfully cashed its 9-days opening week at box office globally. 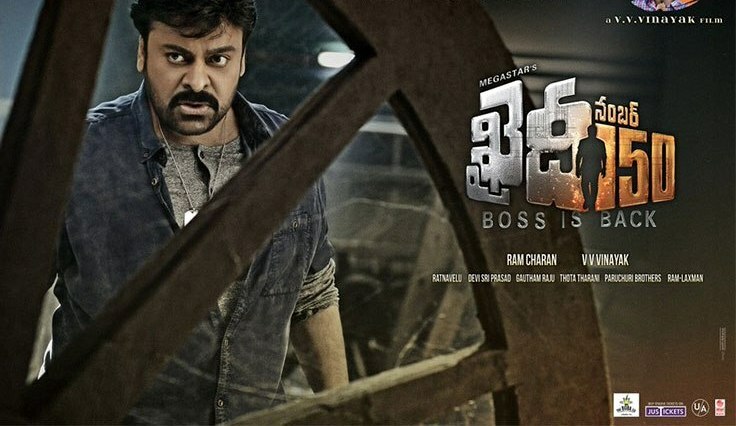 Being megastar Chiranjeevi starrer it was released with huge hype among his fans as well as Telugu audience on last Wednesday. As expected the movie has received overwhelmed response and tremendous occupancy in its dominated regions Andhra Pradesh & Telangana. Due to its strong content, written by the very promising AR Murugadoss, V.V. Vinayak’s directorial Khaidi No. 150 has got impressed all the viewers and received positive reviews from critics. Both the stars Chiranvjeeni and Kajal Agarwal have given wonderful performances and are being appreciated by everyone for that. With enormous initial buzz, Khaidi No. 150 had witnessed outstanding occupancy through out its 5-days opening weekend and did the business of 49 crores at AP/T box office. Then in weekdays also, it remained almost steady and managed to add good amount to its total. On Monday, Khaidi No. 150 faced 50% of drop than previous day and minted the amount of 3.50 crores. With further decrements, it raked the amount of 3.10 crores on Tuesday and 2.50 crores on Wednesday. On the last day of week i.e. 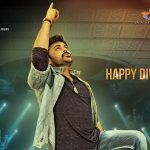 Thursday, the movie reported little more drop and minted the amount of 1.95 crore*, which has made its 9-days opening week total collection as 60.05 crores* from Telugu states- Andhra Pradesh & Telangana.